Analytics can range from operational reporting, dashboards, scorecard, data mining, and predictive modeling. To be Agile, your processes, technology, and deployment must align and support incremental development. To achieve Agile Analytics, your disparate data must be collected and organized into reporting structures and allow iterative changes without the costly development lifecycle. In the market today, there are over three dozen reporting tools and a slew of vendors that only sell to the strengths of their product. This falls short of the mark as they only cover operational reporting, dashboards, scorecard, data mining, and predictive modeling. The emphasis should not only be placed on the reporting layer but ensure the data layer is also well organized. Insight into your data can only become meaningful if your data is organized into suitable business-focused data marts. The data must be collected, modeled, and reported in accordance with your stakeholder’s needs. However, stakeholder’s must interact with the data before requirements can be understood. The traditional requirements approach in long-drawn-out Software Development Lifecycles is not effective. The process must be agile, interactive and iterative. This is where Wyntec comes in; our services are agile, vendor agnostic and tailored to meet your special needs. You only pay for the services utilized as Wyntec supports a delivery-driven business model. Our services are coupled with proven automation, industry-driven models, and expertise resources. Unlike other vendors, we don’t believe that out-of-the-box models or reports will give you the unique edge – as your competition is also using these generic models. The solutions we build are tailored to your unique needs. Since your data is a valuable corporate asset to you, informed decisions can only be made if this data is transformed into meaningful information. The processes to present this information into meaning analytical models must be fast, of quality and affordable. C. Develop the business intelligence layer utilizing the reporting tool of your choice. 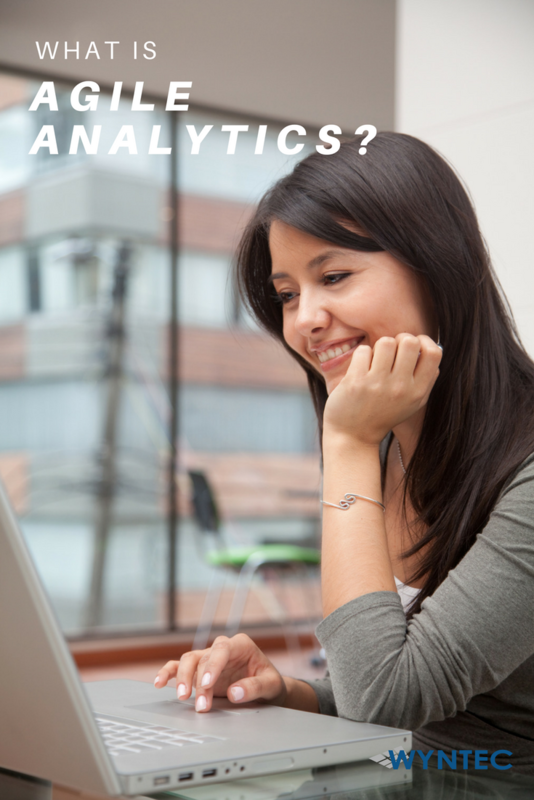 Request more info or a consultation for our Agile Analytics Service offering.